Today we, Agharta, start the 6th annual edition of Speigas festival. The event devoted to experimental, noise, drone music. Concerts and lectures coming up this weekend. 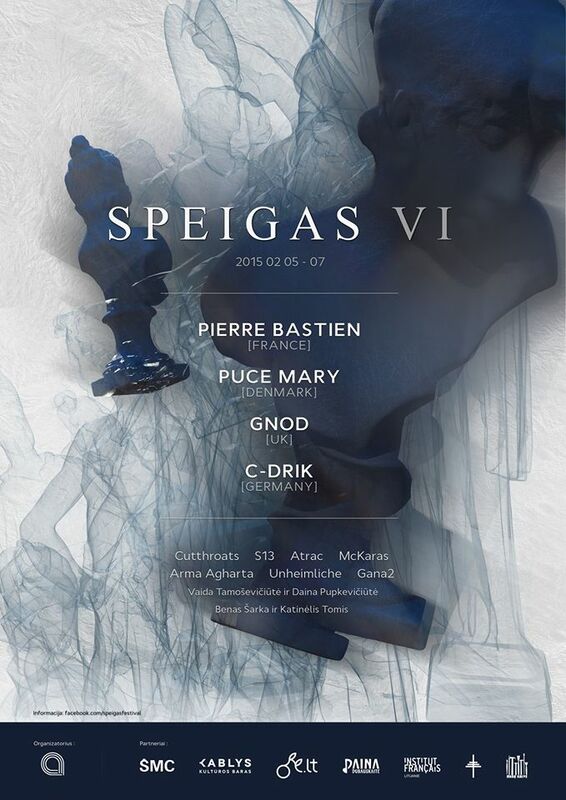 Some Speigas festival related interviews: Pierre Bastien, Gnod, C-drik, McKaras, Daina ir Vaida. *Also fresh interview with me on S13, and well analysed text about my creation on modus-radio (in lithuanian language).